Exit the totem's den and head left down the mountain, picking up a Float Stone along the way. 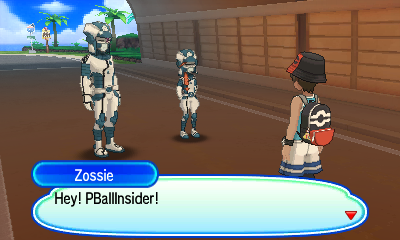 There's a couple trainers you can battle on your way down if you'd like. 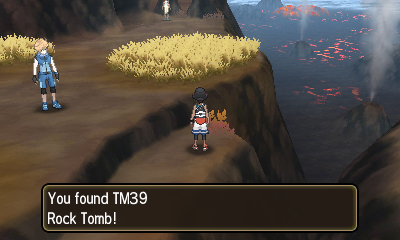 Don't miss TM39 - Rock Tomb on the cliffside to the right either. Continue left down the series of cliffs and you'll find a Burn Heal. You can then exit the park the same way you came in. Continue towards the gate blocking the route north; now that you've completed Kiawe's trial, it'll be opened for you. You'll find yourself in Dividing Peak Tunnel. Continue north and you'll run into Zossie and Dulse again. Continue north after a cutscene with them. 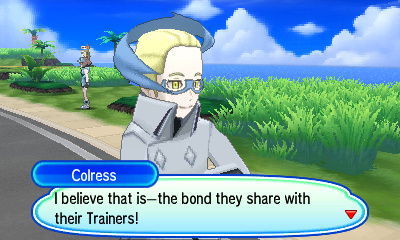 Continue forward on Route 8 for just a bit and you'll be introduced to Colress, who will give you TM43 - Flame Charge. You'll find a Totem Sticker, a Big Pearl, and a trainer to battle if you take the path to the north. 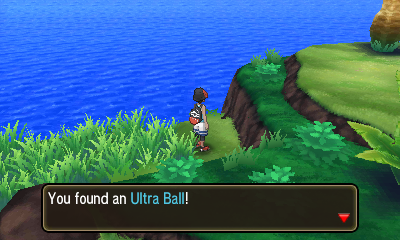 Take the upper route to the left and you'll run into two trainers, a berry tree, and an Ultra Ball. You can also find a Hyper Potion and one more trainer along the road heading left. Continue left and south and you'll run into Hau once again. 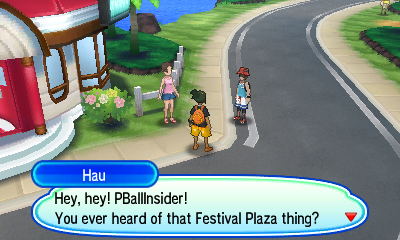 Hau will introduce you to the Festival Plaza. Follow the tutorial here until you get back to the overworld. Heal up at the Pokémon Center here if you'd like. Then, head east onto Route 5. Head north to Lush Jungle when you're ready to begin the trial. 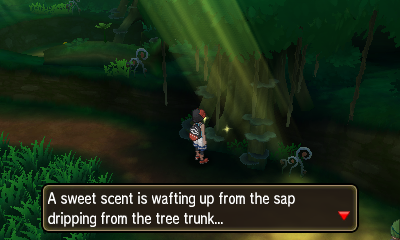 Speak to Trial Captain Mallow when you get into the jungle. Your trial will begin. This trial will have you collecting ingredients, specifically a Mago Berry, some Honey, and a Big Root. You'll get a Forage Bag to hold the ingredients in. 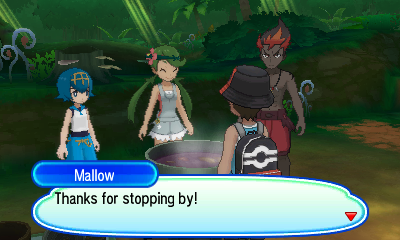 Mallow will take you to the location of the first ingredient. Examine the sparkle here to pick up a Mago Berry. In the next area, grab the Honey from the first bush you see. 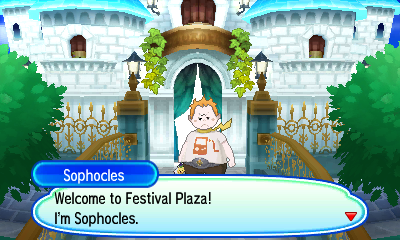 Speak to Mallow to move onto the next area. You can grab an X Defense while you're here. Grab the Big Root from the pictured Sudowoodo to avoid a battle. Speak to Mallow when you're ready. Mallow will then begin making her stew. 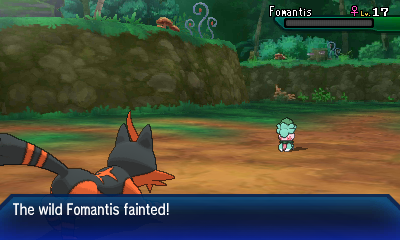 You'll need to battle a Fomantis and a Comfey during this sequence. If you picked the wrong one, you'll also have to battle a Sudowoodo. The scent of this soup will summon the totem Pokémon. This totem Pokémon is a Lv. 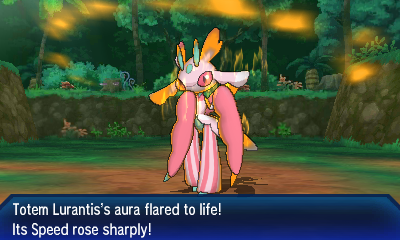 24 Totem Lurantis. 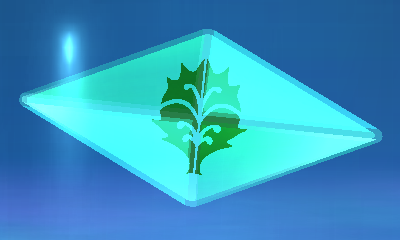 It will summon Kecleon as its ally Pokémon. Fire, Bug, and Flying Pokémon are all good choices. Make sure to target the totem Pokémon, as it will just keep summoning new allies if you don't. When you've defeated the Totem and its allies, the Trial of Mallow will be complete. For winning, you'll receive Grassium Z. In addition, Mallow will give you 10 Nest Balls and Professor Kukui will give you TM67 - Smart Strike. 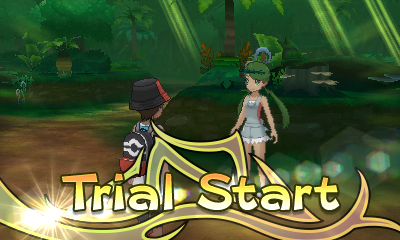 With that, you've cleared all three of Akala's island trials, only the Grand Trial and Island Kahuna stand in your way.